“Food-as-medicine” has been around for many centuries, and one of the most commonly used medicinal foods was salt. We are not talking table salt that has been refined and chemically altered and contains no minerals, but natural salt with all its trace minerals still present. In olden times and up until 19th century, salt was used to preserve food during the winter months and was the first traded commodity. 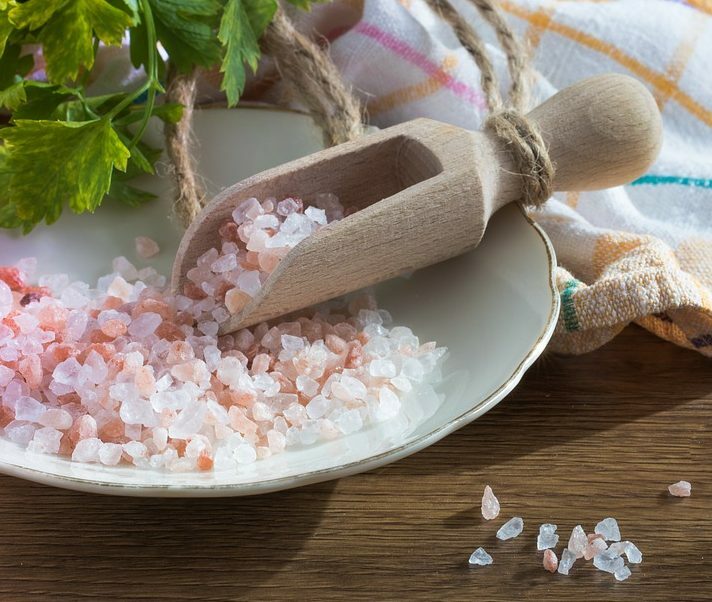 Rock and sea salt were used to treat common illnesses back in the day. Salt was used as a laxative for constipation, salt baths for skin infections and salt solutions for ear aches, and used as a gargle to treat intestinal worms. It was also used to treat odema and soft tissue swelling from excess water retention, treatment of goiter, syphilis and other diseases. In modern day, salt has been given a bad reputation by many health professionals and ‘experts’ who warn us of a low-sodium diet. This is BAD advice. Our bodies require salt to function properly. Pure, natural salt actually helps to replenish your cells and keeps your body in homeostasis. Salt is great for healing cuts and scrapes faster and gargling salt water helps to soothe a sore throat very quickly. Holistic dentists still recommend salt water rinses for inflamed gums and mouth ulcers/sore. However people are still being told to watch their sodium intake when they have risks of kidney problems, odema, osteoporosis, high blood pressure, hypertension, heart disease and stroke. The Australian Heart Association warns us to consume less than 2000mg a day, that’s less than your kidneys filter in 5 minutes! Sodium is an essential nutrient your body needs to function. Getting the right amount is important for maintaining good health. Many people including doctor’s use the words ‘salt’ and ‘sodium’ interchangeably. They aren’t the same! Sodium is a mineral found in salt. Salt is a naturally occurring compound with is made up of sodium and chloride. Table salt is created from natural salt but is refined by heating up to 650degrees Celsius (1200 F) which destroys all its beneficial elements. We shouldn’t be using salt and sodium interchangeably. We should not confuse natural salt with table salt. The other issue of why salt is bad is when you consume sodium (salt) it causes high blood pressure because you get thirsty and drink more water. The body holds extra water to dilute the saltiness from the bloodstream, there by increasing blood volume and suggesting it leads to high blood pressure. Studies have shown that salt actually helps your body conserve water and makes you less thirsty. More recent studies show there is no link between salt intake, HBP and heart disease risk. Also if you have an unhealthy gut (microbiome) your body isn’t absorbing enough sodium from your diet. Adequate salt intake helps you stay hydrated, prevents muscle cramps and supports a healthy nervous system and metabolism. So How Much Salt Do You Need? In the book ‘The Salt Fix’, author James DiNicolantonio, Pharm. D., a cardiovascular research scientist at Saint Luke’s Mid America Heart Institute in St. Louis, says scientists have found that when people’s consumption of sodium is unrestricted, they typically consume between 3,000 to 4,000 milligrams per day. This amount is true to all populations, climates and across cultures. The amount of sodium intake is optimal and driven by the hypothalamus (the part of the brain that keeps body in homeostatis). Adding natural salt to your diet is one of the easiest ways to ensure that you get enough sodium and other essential minerals, especially if you are active. The most common natural salts are sea salt, Himalayan salt, and Celtic salt. The different salts have its own unique flavour and mineral composition. Sea salt contains high levels of trace minerals, including potassium, iron, and zinc. It also contains small amounts of natural iodine. Himalayan salt comes from the ancient sea beds of the Himalayan mountains. It is rich in iron, which gives it a pink color, as well as 83 other essential trace elements, including magnesium, potassium, and calcium. Celtic salt is hand-raked in Brittany, France, and is gray due to the clay and sand where it is harvested. It is a moist salt that is rich in many minerals.